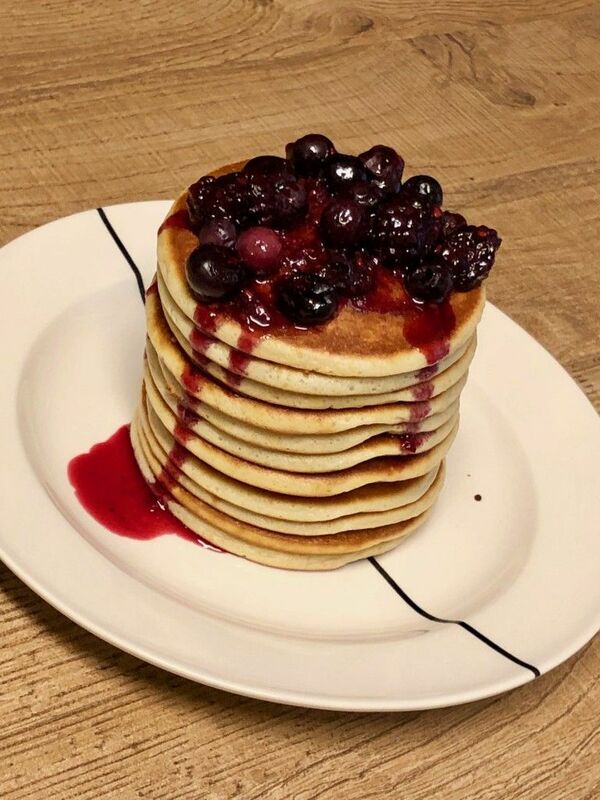 on a drizzly Sunday morning there is no weather to go to the bakery, you can take the time to make these beautiful airy and fresh pancakes with a delicious sauce of red fruits. The red fruits (blueberries, raspberries and blackberries) I had from the previous dish that I posted, the fresh coconut polenta cake. When I saw the recipe, I immediately had the inspiration to use it in a syrup / sauce. With my Tefal snack collection I have already made many dishes, such as buckwheat pancakes and ricotta pancakes. In the meantime I love these small, thicker pancakes, from my younger years I am more familiar with a larger sized pancake.